For example, Sam Bealing capped an amazing career at Bridgewater and Appleton College with a clean sweep of A* grades- six in total, securing his place at Cambridge University. Bethan Lukey secured three A* grades and a further two A grades overall. Meanwhile Jack Baker gained two A*s and a further two A grades and one B grade. Eleanor Palmer was awarded an A* and a further three A grades with Kate Bottomley and Brett Sibert enjoying similar success with a total of three A grades and one B grade overall . Sarah Shrewsbury-Gee and Abi Wilkinson both gained two A grades and two B grades whilst Emily Gibbins received an A* and two A grades. The Performing Arts remain a strength and congratulations also go to Fin Bailey and Macy Fannon for securing two Double Distinctions stars each in this area. 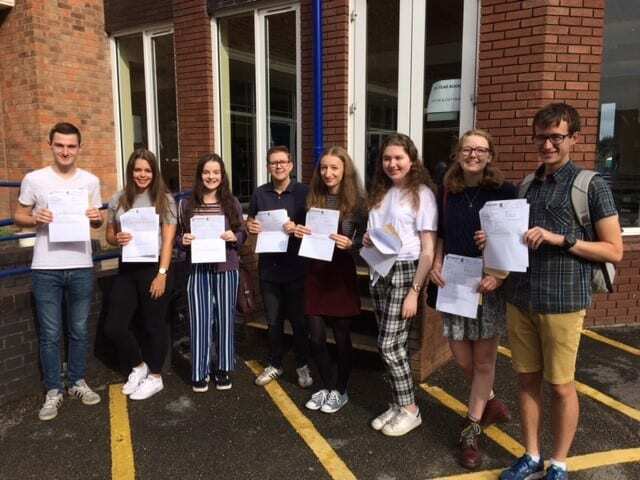 Some subjects notable for the strength of their performance this year included French and Further Maths where all students achieved an A* or A grade. Meanwhile, 83% of Biology students achieved an A*-B grade whilst Sociology enjoyed particular success with 88% of students gaining an A*-B grade. Overall 7% of all entries were awarded the top grade of an A*.